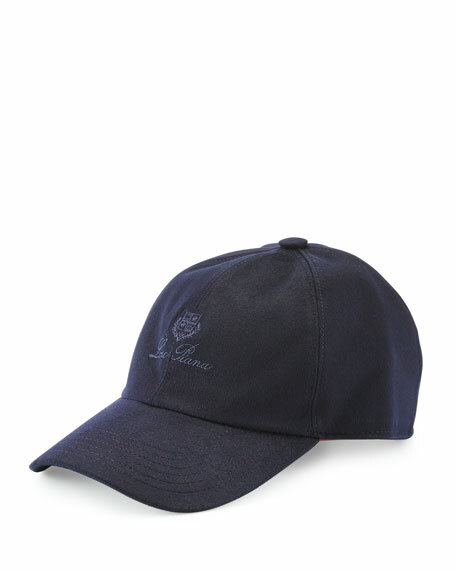 Embroidered Loro Piana logo at front. For in-store inquiries, use sku #896810. 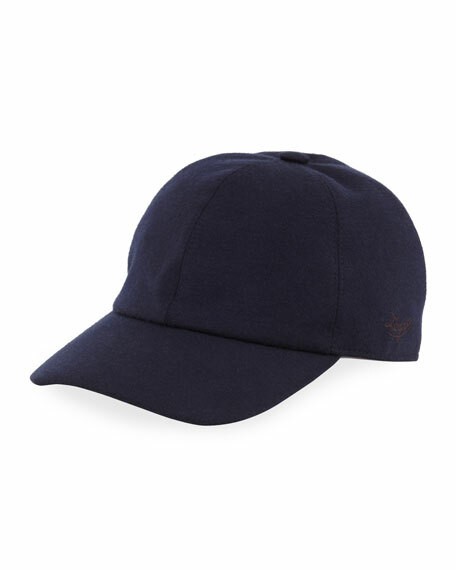 Paneled jersey baseball cap by Ermenegildo Zegna. Zegna logo detail. 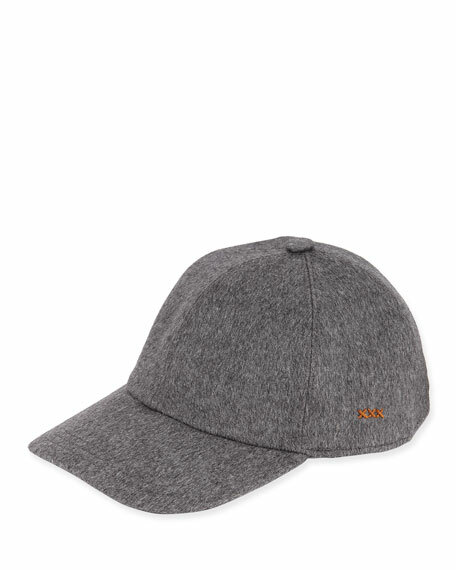 Cashmere/cotton/silk. Lining, cotton/rayon/cupro. Made in Italy. 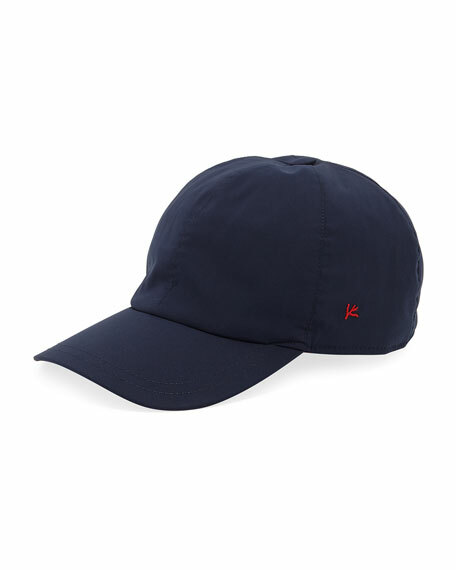 Isaia baseball cap with logo detail. Five-panel construction. Button at crown. Cashmere. Made in Italy.